During Wednesday night's debate among GOP presidential hopefuls, former Hewlett-Packard CEO Carly Fiorina got into a heated discussion with Donald Trump about the pair's respective backgrounds in business. Trump accused Fiorina of running Hewlett-Packard into the ground, while Fiorina criticized Trump's mismanagement of his casinos and multiple bankruptcies. 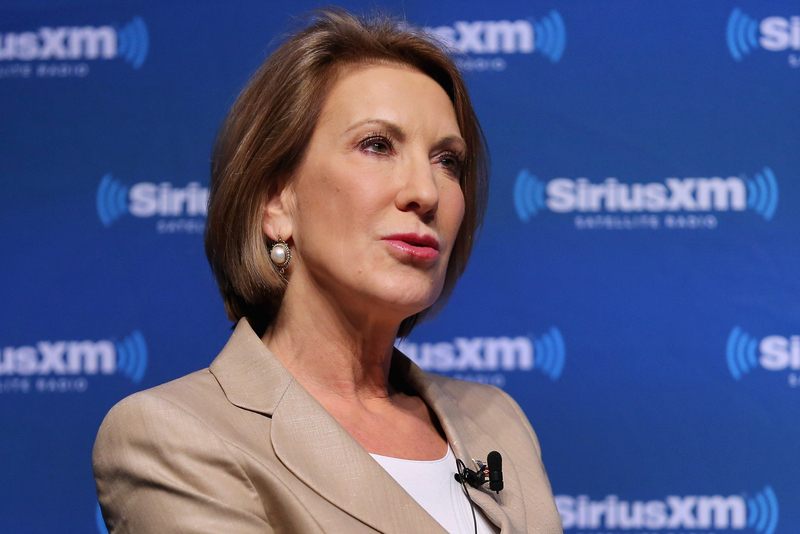 The discussion left many wondering what exactly Carly Fiorina's net worth is. As compared with the rest of the candidates, though, both Fiorina and Trump are significantly ahead. Former Florida Gov. Jeb Bush's net worth is estimated to be between $19 million and $22 million, while the Clintons' combined net worth is estimated to be around $55 million. Still, Fiorina has been incredibly transparent about her finances, while many of the other candidates, like Hillary Clinton and Bush, only provided ranged estimates. The financial disclosure statement her campaign released in June includes detailed information about her financial assets, bank accounts, and real property. In a statement at the time, Fiorina said that questions about her finances are "fair game" ahead of the election, adding that "leadership of any kind requires trust and transparency, and voters should demand no less from their political leadership in government." Fiorina has been much more open about her financial status than the other 2016 presidential candidates have been — the statement from her campaign is an 87-page document. But having a high net worth doesn't necessarily mean Fiorina's tenure at HP was as successful as she tried to make it sound during the debate. Fiorina was laid off from her job at HP, and according to Forbes, her time in charge there was so "unimpressive" that HP shares fell by 45 percent. Fiorina noted in the debate that she led HP through a technology recession, which is why her record there may seem dismal, even though she was doing the best that she could. (For a more in-depth look at HP's performance during Fiorina's tenure, Forbes has the scoop in much more detail.) Of course, an arguably bad track record at HP doesn't mean Fiorina isn't fit to be president, but as a political outsider, her questionable successes at HP do stand out, especially when you weigh her personal income at the time with the huge losses sustained by HP's investors.